PlayStation is all grown up now. 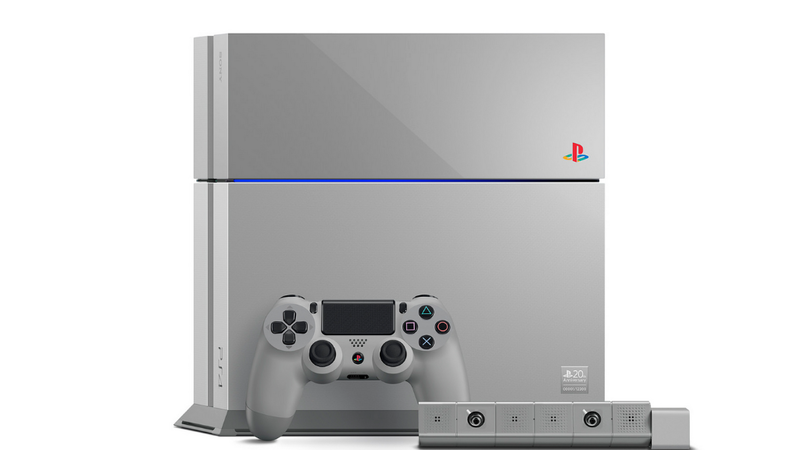 The break-through video console from Sony (SNYFY) Computer Entertainment marks its 20th anniversary today, and to celebrate, Sony is releasing a special Anniversary Edition PS4. Pre-orders start on Dec. 6, and are available only in "very limited supply," according to the company. Shunei Yoshida, author of the PlayStation.Blog, noted that the original PlayStation launched in Japan on Dec. 3, 1994. "20 years is a long time!" he blogged. "In 1994, many outsiders thought that Sony was slightly crazy to launch the original PlayStation into an incredibly competitive gaming market. Who could blame them?" The market is still competitive. Xbox One from Microsoft (MSFT) is in hot demand this holiday shopping season, giving the PlayStation 4 a run for its money, along with competing consoles from Nintendo, including the Wii U. Trying to gain an edge, Sony recently unveiled an Internet cable service called Vue, which would be accessible through PlayStation consoles instead of a cable box. The company is struggling. Sony expects to lose more than $2 billion in the current fiscal year, largely due to losses in the highly competitive smartphone industry.